The earth is self correcting and humans using fuels is a big part of that correction. The more humans using oxygen, the more CO2 is needed. So humans use fuels that produce CO2. The science deniers in the clutches of fear mungering all want to beleive in some magical evil from burning carbon based matter. We have a huge hole in the ozone layer over the Antarctic. Still. And people who call themselves "scientists" want to make that hole even larger, by stopping CO2. Ozone is OXYGEN that has been changed into O3 by the uV radiation from the sun. Ozone is the canopy that protects all life on earth from harmful radiation and OVER HEAT. It also moderates, evens out the temperatures and lowers temperatures by stopping harmful radiation improves the weather to more uniform and less volatile. In order to replenish the ozone layer we need MORE OXYGEN. The C part with the O2 part removed by plants. Plants take the CO2 and make OXYGEN. More CO2 is needed to sustain life. We are at some 461 ppm of CO2. If it drops to 150 we are all dead. No plants can live with CO2 below that level, or very few and they will not give food. We are at an extremely dangerous position by not having enough CO2. Fossil fuels, coal, natural gas, and petroleum ARE NATURAL products of LIFE on earth. They are not some horrible creepy monster under the earth. These fuels are STORED CO2 and life. They represent a world that was LUSH and full of FOOD for the ocean life and for all plant and animals on the earth, including humans. "Crude Oil was formed from the ancient remains of plants, animals, and sea organisms that drifted, millions of years ago, to the bottom of some very large oceans, eventually becoming covered by a layer of mud. The mud hardened into rock, thus compressing and increasing the temperatures of the plant and animal remains. The chemical process that ensued was the means by which modern oil was formed." More More CO2 = larger and far more healthy plants and plankton in the sea. Plankton in the sea is the bottom of the ocean's food chain. Plankton is also a HUGE source of OXYGEN needed for life. More CO2= FAR BETTER CONDITIONS on earth. More CO2 and MORE oxygen go hand in hand, because CO2 gives more life to plants and larger more plentiful plants means MORE oxygen. More oxygen means more health for humans, and more OZONE in the upper atmosphere. The safety canopy of the ozone layer that filters out harmful radiation, causes skin cancer and is causing volatile weather needs to be restored. This can only come by increasing CO2 which increases oxygen, and increases OZONE. The volatile weather is caused by hot and cold spots on the earth, extremes of temperature NOT global warming. Hot and cold coming together cause thermal condition for hurricanes etc. The ozone canopy stops extreme radiation and stops the extremes of hot and cold. This is science fact. People who cannot see beyond the smoke coming out of some factory, not burning fuel correctly, actually believe that smoke is a permanent thing or a "bad" thing. If that was the case we would not be able to see the sun right now. We know from scientific studies that plant resins destroy and neutralize toxic chemicals. There is a company, right now called "Eco Sorb" using tree resins to destroy toxic effects of chemicals from fiberglass factories and even over toxic waste dumps. They spray the resin from pine trees and it neutralizes toxic chemicals. MORE CO2 = cleaner air from healthy and much larger trees. Larger trees, means better life for all inhabitants on earth. Large trees NEED lots of CO2. More food produced from much healthier farmed vegetation. Imagine 3 times the yields of food on the same size land. 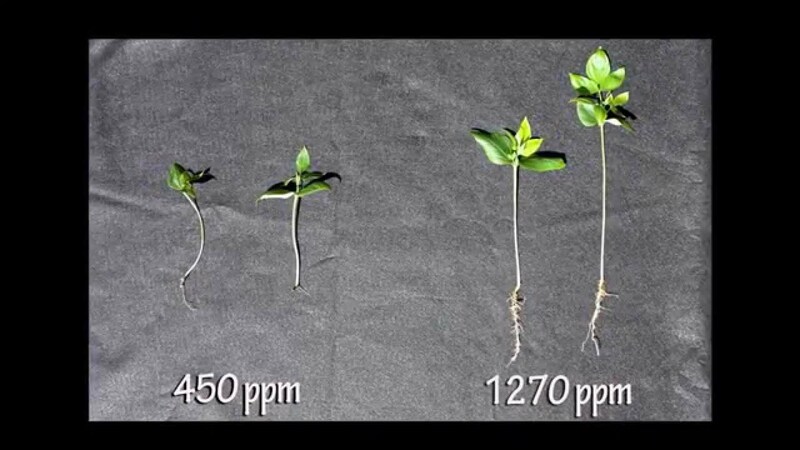 It is proven that increasing CO2 to 1200 PPM increases plant growth by some 300%. More food for humans, more pine trees, more clean air, better life, more oxygen, more ozone layer protecting all life on earth. It is clear from AA the temperature DATA we have that the ONLY global warming ever in all of the time of fossil fuels have been extensively used is from about 1960 to 2000. This was the era of the OZONE HOLE being huge and the Ozone layer being the thinnest it has ever been. They even made a movie about people frying from a MOVING ozone hole. 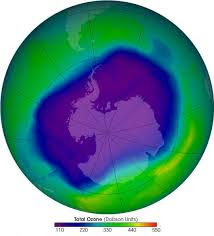 Now with the BANNING of Fluorocarbons , CFC's, from the USA and other countries, the OZONE layer is recovering SLOWLY. And if we have MORE CO2 and more plants , vegetation, we will have it recover much faster. 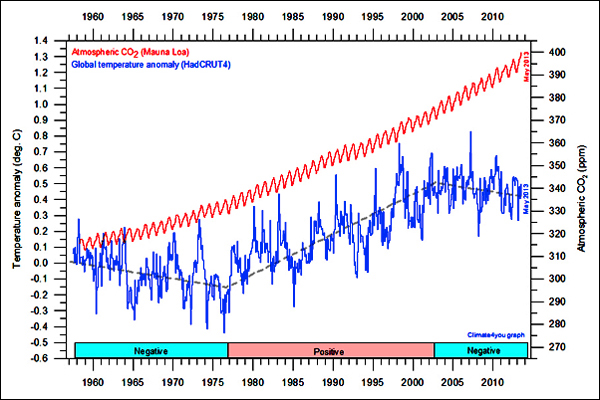 NOW in this chart we see that CO2 is RISING, Thank God, and the temperature is lowering. This is to be expected by REAL scientists. The CFC's are being absorbed by the earth's cleaning processes and hopefully all the air conditioners from now on will have OZONE friendly chemicals. What we REALLY NEED IS MORE PINE TREES! Pine Trees are proven to be the most productive at destroying harmful chemicals. Their resins and oils destroy toxic chemicals. There is a company called "Eco Sorb" that uses pine tree oils to destroy toxic fumes. They used to publish the fact of using pine resins, but now that it is so lucrative they don't publish it any more. It is "magical" natural products that they hide. All we need to do is to restore the CO2 to about 1200 PPM or higher and life will improve and more pine trees will live and grow to CLEAN the air. If you go to a pine forest, you will notice right away the AIR is FRESH. This is not magic it is how pine trees clean the air.